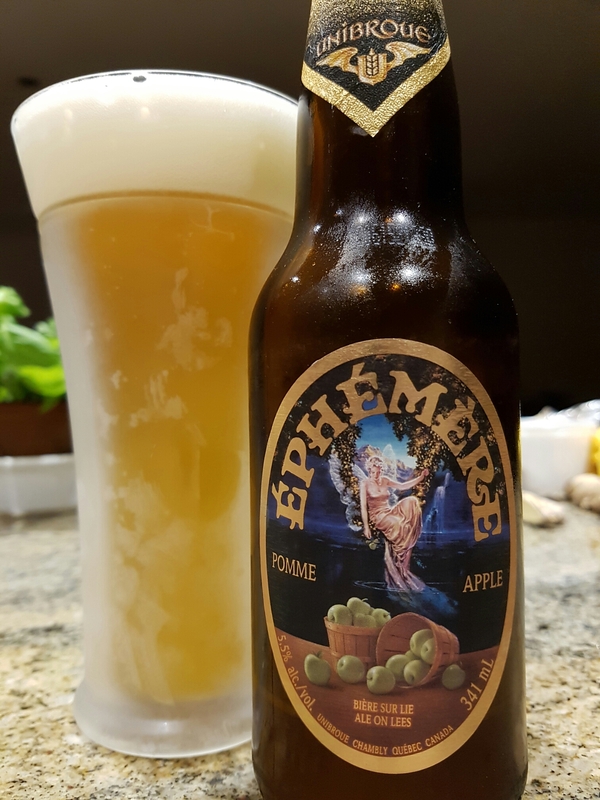 Éphémère Apple – Unibroue (Chambly, QC, Canada) (re-tasting) | Justintoxicated. 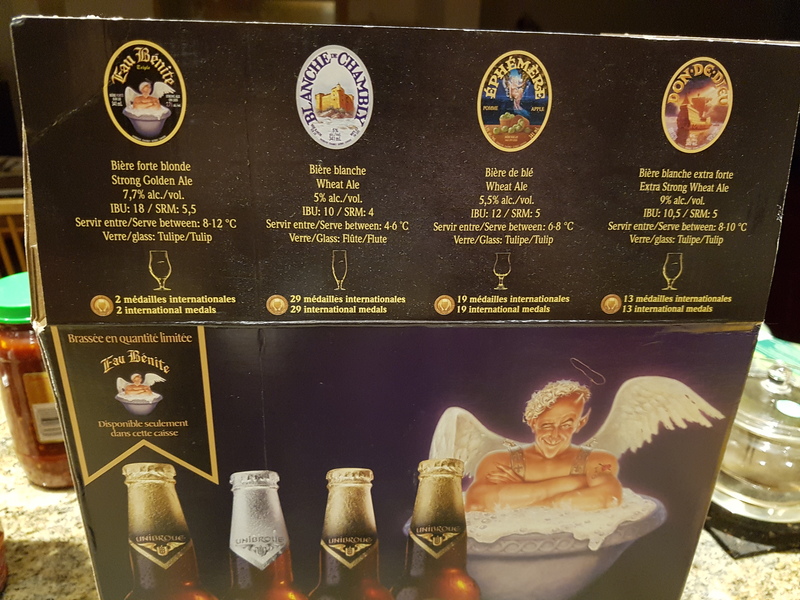 -part of the 2015 Unibroue Summer mixed case of 12. Tasting notes: pours almost clear filtered apple juice yellow with minimal head, and lots of CO2 activity. Very fruity green apple juicy nose with a bit of yeasty banana wheat. Finish: light rough dry, light soapy green apple, tingly finish. A dry finish that is excessively dry and wheat/malty for my tastes. Visual: Pours translucent yellow-orange with a large foamy head, 2mm layer of fine retention, clusters of fast and active streams. 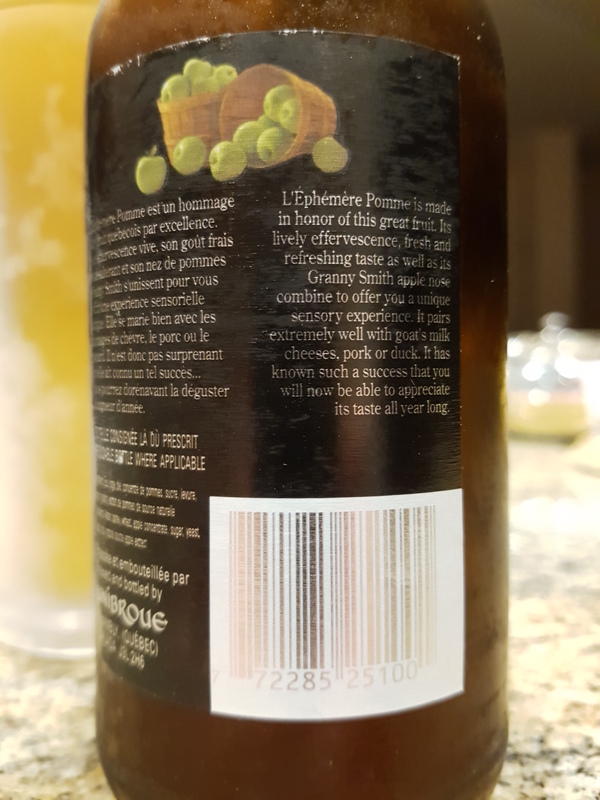 Summary: I liked the crisp tanginess of it, and the green apple/muscat was nice but once again another Unibroue brew that doesn’t finish clean.